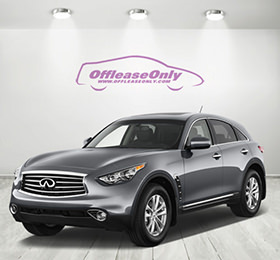 Join Hundreds of Thousands Off Lease Only Happy Customers and Save Thousands on your Next Used Car at OffLeaseOnly. The Nation's Used Car Destination! OffLeaseOnly The Nation's Used Cars Destination, Travel a Little and SAVE THOUSANDS on Used Cars for Sale! YOU’VE COME TO THE RIGHT PLACE FOR YOUR NEXT USED CAR! Visit OffLeaseOnly USED CARS Inventory or Use OffLeaseOnly Notify Me, Get PRE-QUALIFIED, Take your TEST DRIVE! 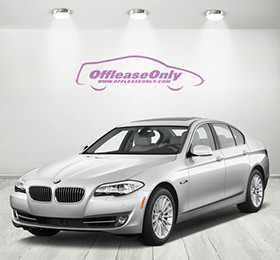 OFFLEASEONLY NOTIFY ME IS THE EASIEST, FASTEST AND MOST CONVENIENT WAY TO FIND YOUR NEXT DREAM USED CAR! Are you looking for a used car for sale that is currently not in OffLeaseOnly Used Car inventory? No problem! Just fill out the OffLeaseOnly Notify Me form and get notified when the make and model of your choice comes into our used car inventory! 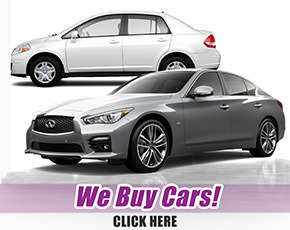 OFFLEASEONLY USED CARS FOR SALE - SAVE THOUSANDS! OffLeaseOnly is the largest used cars volume dealer in Florida so banks compete hard to earn our customers business! Fill out the application online and in just a few minutes you can get pre-qualified for your next OffLeaseOnly Used Car from the comfort of your computer. Then come take a test drive! OFFLEASEONLY IS THE NATION'S USED CARS DESTINATION! OffLeaseOnly want to buy your used car and we will pay top dollar for your used car trade-in! It's never been a better time to trade-in and trade-up into that used car that you've always wanted! We also offer extended used car service agreements for added peace of mind. WE ARE DEDICATED TO MAKING SURE OFFLEASEONLY CUSTOMERS HAVE THE BEST USED CAR BUYING EXPERIENCE OF THEIR LIVES! OffLeaseOnly has built our success making customers happy and they love to share their experience on camera! Watch thousands of happy customers share their story and see why OffLeaseOnly is known as the Nation's Used Car Destination! Looking to buy that perfect Used Car, Used SUV, Truck, or Used Van? Why buy new, when you can buy an OffLeaseOnly Used Car and SAVE THOUSANDS! "OffLeaseOnly is proud to offer our customers the lowest used car prices on quality used cars for sale. It pays to ship your used car from OffLeaseOnly locations- no matter where you are located in the USA. Don't delay, OffLeaseOnly Used Cars for sale locations are your local dealers no matter where you live! Save thousands on used cars for sale!" Come and see for yourself why thousands of customers only choose to shop for OffLeaseOnly used cars. No hassle. No hard sales tactics. No wasting your time negotiating. Just the absolute best used car value hands down apple for apple that no other used car dealer can offer you. "OffLeaseOnly used cars for sale inventory is IMPRESSIVE & updated multiple times daily. Browse thousands of used cars for sale from the comfort of your computer 24/7 at OffLeaseOnly Used Cars for Sale. You can also get pre-qualified for used car financing in a matter of minutes and see why used car shoppers across the country choose to fly in to save thousands on used cars for sale. Don't Pay More for Used Cars! "Most OffLeaseOnly used cars for sale are still under factory warranty. For added peace of mind you can extend your used car service agreement up to 10 years and/or unlimited miles from your date of purchase. OffLeaseOnly used car extended service agreements are transferable & refundable when the time comes to sell. Make OffLeaseOnly your local dealer and save thousands on your next used car. OffLeaseOnly Used Cars for Sale, Thousands Below Retail! What makes OffLeaseOnly the most unique used car buying experience? The lowest used car prices for sale on the planet, transparency and top notch customer service! At OffLeaseOnly used car prices aren't negotiable and are clearly stated online and on every used car in our used car lots. OffLeaseOnly never charges used car hidden fees. Buyers will never encounter any hidden fees and will avoid the stress of negotiating. Owner Mark Fischer started OffLeaseOnly with his life savings, starting with just two used cars. 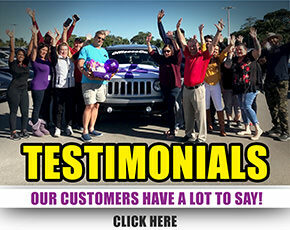 He has since grown the company into the largest used car dealer in Florida. The OffLeaseOnly business model is successful for two reasons: OffLeaseOnly prices its used cars thousands of dollars less than any other used car dealer in the nation and truly cares about each customer's happiness. OffLeaseOnly is proud to have hundreds of thousands of happy customers that refer their friends, family and co-workers here from all around the country. With our out of state used car business exploding, OffLeaseOnly is truly the Nation's Used Car Destination! And shopping for a used car at OffLeaseOnly is also easy if you live out-of-state. Used car shoppers can buy used cars online without ever having to visit Florida, and have their used car shipped to their doorstep and still save money. Other buyers fly in from all over the country to take advantage of the used car pricing and used car selection at OffLeaseOnly's dealerships in Miami, North Lauderdale, West Palm Beach and Orlando. © Copyright 2018 Off Lease Only, Inc. All rights reserved.